Because of life changes and lack of spare time, I stopped doing the daily reviews of the minor league pitching rotations in early august. This was too bad, because I didn’t adequately track which 2011 draftees were placed with which team. We’ll do some quick catch-up here. Auburn starters. The rotation started the season with Demmin, Estevez, Encarnation, KLopez and Bates. Ryan Demmin‘s short-A career was “short,” lasting 5 mostly good starts before being promoted up to high-A. He eventually settled in Low-A and was reviewed there. 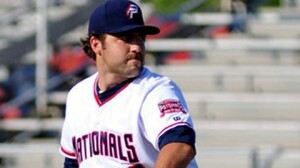 Outlook for next season: (from high-A post): Potomac middle reliever. Wirkin Estevez was the workhorse of the short-A squad, making 14 appearances (13 starts) and posting a respectable 4.01 era as one of the younger pitchers in the league as a 19yr old. He was up and down in his starts; some good to great, some bad to awful. He’ll need to be more consistent going forward to stay in the rotation. Outlook for next season: The 2010 Dominican Summer League (DSL) grad should graduate to low-A, though I’m not sure there’s room for him in the rotation. I’m guessing he’s a bullpen arm there. Pedro Encarnation had three mostly bad starts before getting demoted to GCL. We’ll review him there. Kelvin Lopez, despite being one of the first starters through the rotation, was really just putting in a spot start and pitched mostly out of the bullpen. He was relatively effective in the short season, posting a 3.65 era in 10 games and 24 2/3 innings. Outlook for next season: Entering his 4th pro season he should feature in the Hagerstown bullpen, but the competition there will be crowded. He had better numbers than most of his 2011 Hagerstown competition and should stick. Colin Bates started hot in the rotation, got promoted after 7 starts, then floundered in Hagerstown before getting dumped back to Auburn in late august, where he worked out of the bullpen. His ERA was good in short-A (2.25) and was an improvement over 2010, but he’s already old for the level and needs to improve for next year. Outlook for next season: Potomac middle relief on a short leash. Manny Rodriguez was one of the first 2011 draftees to appear in our system, signing quickly as a 10th round pick and pitching 50 innings over 14 appearances and 12 starts in Auburn. Results? 2-3 with a 4.65 era in his first pro season. Like a lot of guys coming off full college seasons, he seemed to tire in his late August starts. Outlook for next season: Repeats Short-A as a starter. 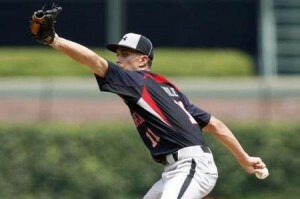 Christian Meza started the season in the GCL, then was promoted after two appearances to join the Auburn rotation. He had 10 starts and posted a 5.68 era in them. Outlook for next season: with all the starter prospects we drafted in 2011, I think Meza drops to the bullpen and repeats Short-A in 2012. 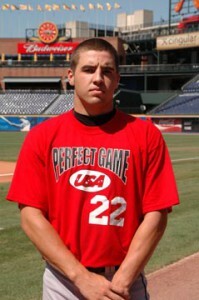 Brian Dupra was another 2011 draftee (a Senior out of Notre Dame) who featured as predominantly a starter in Auburn. He had better results than some of his draft day compatriots, posting a 4-4 record with a 3.46 era in 54 2/3 innings. Outlook for next season: he starts the season in the Short-A rotation after staying behind in extended spring training. Nathan Karns has been an enigma so far in his Nats career. A 2009 draftee, he never appeared professionally after signing, then missed all of 2010 with an injury. The team started him slow in 2011, giving him 5 starts in the GCL (where he didn’t allow a run over 18 innings while giving up just 2 hits), and then giving him another 8 good starts in Auburn, where he was a respectable 3-2 with a 3.44 era. He was rather wild on the season, with nearly as many walks as strikeouts, but the promising arm drafted 2 years ago seems to be back. Outlook for next season: He’ll compete for a rotation spot in Potomac but may settle for a bullpen role. Taylor Hill was another 2011 draftee who featured in the Auburn staff, getting five late season starts after pitching out of the bullpen after signing. His control was impeccable; 27Ks against just 3 walks in 31 innings, and his 5 starts were stellar; a 2.38 ERA in those appearances. Outlook for next season: He was a college senior draftee and will play next year as a 23 yr old. I think he’ll win a spot in the Potomac rotation out of spring. A slew of 2010 and 2011 draftees pitched out of the Auburn bullpen and struggled. Kreis, Henke, and Barrett each posted eras in the 4-5 range for the 2011 squad. None of these guys were high round draft picks and were always meant to be primarily organizational guys unless proven otherwise. Barrett was mostly used as the closer and had 32 ks in 26 innings, but also had a ton of walks and a 4.05 era. Outlook for next season: All 3 back in Short-A bullpen. 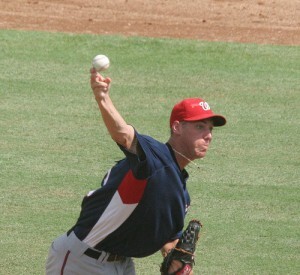 Chad Jenkins survived his third pro season and put up good short-A numbers in a combo role of loogy and long relief. Unfortunately he had more walks than strikeouts, and time may be running out for the 2009 17th rounder. Outlook for next season: another shot at the Hagerstown bullpen, with the firing line if he can’t cut it in his 4th pro season. Manuel Rivera is a long serving DSL grad finishing his 5th pro season in our system. He put up good short-A numbers in a relief mode (3-0, 2.81 era in 20 appearances) and may be a Dominican Republic find. Outlook for next season: he moves up to the Hagerstown bullpen to give full-season baseball a shot. Mirowski, Grisz, Hawkins and Holt all pitched really well in the Auburn bullpen after being 2011 draftees (or in Grisz’ case a non-drafted FA find). Holt was promoted up to Hagerstown and finished the season there. Outlook for next season: all four could be in the mix for a full-season bullpen job, or could find themselves back in Short-A if they don’t make the team out of extended spring. Tyler Hanks bounced around the low minors this year, pitching lights out in the GCL before struggling in low-A and ending the season in the short-A bullpen. Outlook for next season: he should get another shot at the Hagerstown bullpen. Others who appeared briefly: Christian Garcia was a waiver claim mid-season from the Yankees; he threw a bunch of good innings in Auburn before moving back where he belonged; AAA. Blake Monar threw a few innings then decamped back for the GCL. Lastly Silvio Medina did the same as Monar, pitching mostly out of the GCL. Its hard to predict where a lot of these guys will end up; the team drafted SO many arms in 2011, mostly older college guys, that we may very well see a ton of churn in the bullpens of Hagerstown, Potomac and Auburn for next year. Plus we’ll have a new wave of rizing DSL stars and 2012 signees to consider once these teams are put together. So predictions are tough.